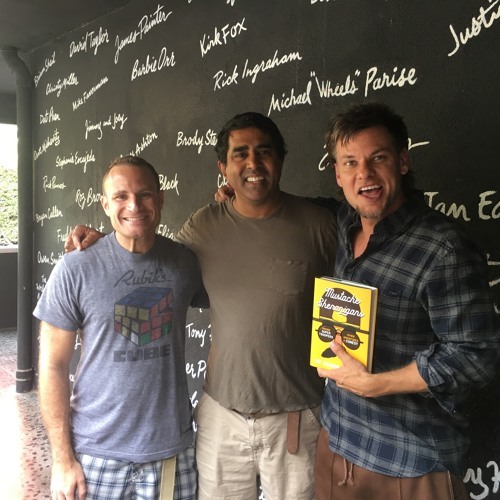 Attention all "Super Troopers" (and upcoming "Super Troopers 2") fans - the films writer, director and Thorny himself - Jay Chandrasekhar - is in the studio to talk about the cult mega hit and what to expect from the sequel. Chandrasekhar is also the author of the new book "Mustache Shenanigans" all about his journey in Hollywood, including fighting with Burt Reynolds, smoking with Willie Nelson, and being on drugs while selling a movie at Sundance. In the end, the win may go to whomever can pronounce his name right... or whomever has the best mustache shenanigans of their own. is it possible to download these?